CityHill Church Northshore is a place where people can meet Jesus, engage in life-giving community, and everyone is welcome. We believe in creating a space where people can have authentic encounters with Christ, discover their gifts and use them for God's glory. Join us for our Sunday services! What would be my next step to connect? We start exactly at 9:30 am on Sunday! There are families that start showing up 20-30 minutes early, those that come exactly at 9:30 am, and even those who come in a couple minutes late. Whenever you arrive, we will be excited to have you. The service lasts about an hour and twenty minutes. Someone will typically open the service with prayer, and a worship team & band will lead us through 3 songs of worship. The songs are typically contemporary, and the words are displayed on the screen for everyone to sing along. After the songs, a host will make a couple short announcements, before a teaching pastor gets up to share a sermon. The sermon lasts about 30 minutes and uses the Bible to teach its points. At the end, the service concludes in a time of prayer. We offer Kid’s Church for children age three through 5th grade, as well as Nursery (infants, crawlers, walkers—newborn through age 2) during each of our worship services. Our state-of-the-art electronic kid’s check-in system, parent paging system, and secure kids area will allow you to have peace of mind during our services. And, our Jesus-centered children’s programming is so fun and engaging, your kids will beg to come back! If you are visiting for the first time, just come up to the “Kid’s Check-In” table and our friendly staff will help you get your children settled in. Do know, we take the safety of all our children very seriously. All children’s ministry staff have gone through a background check and safety training. We have gone to great lengths to promote the spiritual growth and physical safety of our children! You may wear whatever you want. There may be some people who wear suits and ties, some who enjoy more business casual (slacks and a button shirt), and still others who prefer jeans and t-shirt. It’s important to remember that God looks at the soul, not at the suit. What "size" of a church is CityHill? At City Hill Northshore at the 9:30 AM service, we typically have about 275 people on a Sunday. As a church, we have 5 locations and services that are held at different times on Sundays. At all of our locations combined, we will have over 2,000 people who gather to worship on a Sunday. We do take an offering each Sunday after the time of singing & worship. Our offerings help us to keep the lights on enable us to reach our community. But, more than half of our people give online or by phone; if you are a guest or visitor, don’t feel obligated to give. Absolutely! We have FREE coffee, tea, & water available in the lobby. Feel free to come early and enjoy the morning refreshment. What do you believe and teach? We are a Christian church, and have people that come from many different faith backgrounds. We consider ourselves a non-denominational church. You can read a full statement of our beliefs here.  What are the pastors and leaders of CityHill Church Northshore? Great question. We have been blessed with an an amazing team of servant-leaders. You can read about a few of them here. What other info would be helpful? 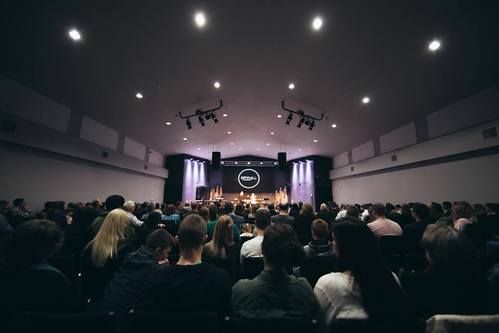 At our facility in Kenmore, we also have an outreach to the Slavic community (City Hill Slavic Northshore), and they gather to worship at 11:45 AM. If you know anyone who is of a Slavic background, invite them! In addition, we have blessed with a strong Hispanic community in the Northshore region. If you have any questions, feel free to come up to our Connect/Info Center. We offer a gift to all of our first-time guests, and the gift is always located on the counter of the Connect Center. 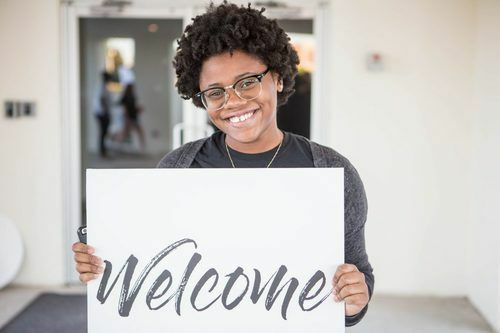 If you are willing, we would love to get your name and email address at the Connect Center, and once a week, we send out an email with details of upcoming events, sermon series, and updates. Each email will include an “unsubscribe” link if you choose to do so in the future.